Your little one can lead Santa's sleigh when he's dressed in this cute Baby Reindeer Costume! 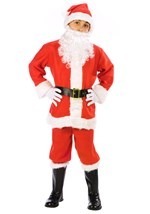 This 100% polyester costume zips up in the back where there is also a small reindeer tail. 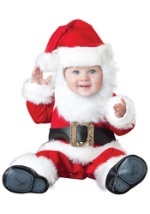 The belly is soft and white and there is a red bow around the collar and buttons on the inseam on the legs to make changing diapers easier! 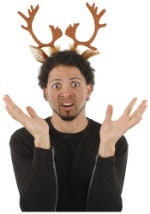 The included head piece has a black nose and black antlers. 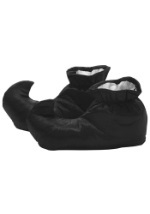 Also included with this costume, are reindeer booties that have no-slip grip on the bottom. 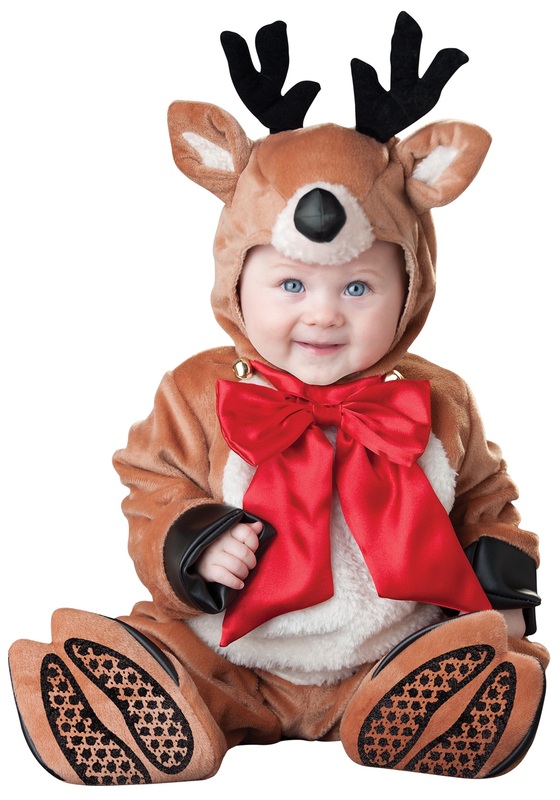 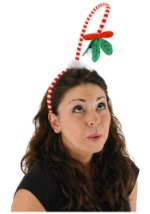 Your infant can be Rudolph the Reindeer baby with this adorable holiday costume!